▷ STX-3000-TF Review 2018 » The Most Versatile Meat Grinder? With three different speed options and an easy setup that makes cleaning a breeze, this is a good middle of the road grinder — but the basic appearance and lack of extras mean it’s not the best choice for cooks looking for a top-of-the-line grinder. One of the features I like the best about the STX-3000-TF is the fact it has three speeds for grinding, and it’s easy to flip through them using the buttons on the side of the machine. Some grinders I’ve used in the past have only had one speed. 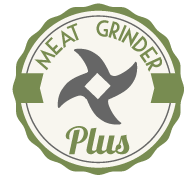 While that’s great for processing all meat at the same level, it’s no us when you want to vary how thick you grind the meat. Thankfully, the three speeds dramatically increase the options when cooking. The grinder is also fairly compact for something that packs the punch of three different speeds. It will fit easily in most kitchens, as it’s about 16.5 by 6.5 by 14.5 inches in size. So if storage space is a concern in the kitchen, this appliance won’t take up much of it. And the fact it’s electric is also welcome because it takes care of all the hard work, making it much easier and less arduous than having to use a manual grinder. Appearances aren’t everything but they’re still a consideration when buying kitchen appliances, and unfortunately, the STX-3000-TF has one of the blandest designs on the market. It’s all white and doesn’t look like a sleek, high-end model. That’s not a major concern for cooks that just want a model that will get their meat processed, but for people looking for a sleek appearance, this grinder is unlikely to satisfy them. Also, there aren’t many extras with this type of grinder. Sure, it has the requisite parts for making sausages but I’m noticing those included more and more as standard with most makes of grinder these days. Overall its functions are limited to both the sausage making and three speeds, so people wanting more options might want to look elsewhere. The phrase “cheap and cheerful” comes to mind when using the STX-3000-TF. It’s a very practical machine that will grind meat perfectly at any of the three speeds. It’s not an exciting model to look at or use, but for those cooks that just want something that works and doesn’t break the bank to buy, this is overall a good model to consider.